2000 copies were printed with sales now approaching 1700. 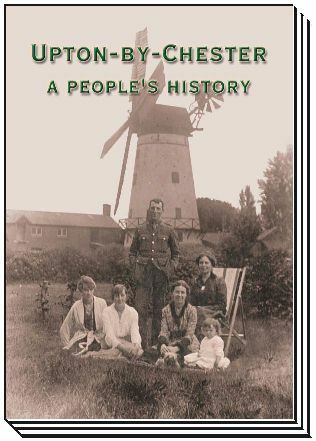 'Upton-by-Chester A People's History' initially priced at � was launched on Friday 1st April 2005 following a parade to the Village Hall all part of the Upton 2005 Festival. Copies can be mail ordered for � incl p&p within the UK via uptonhistory@hotmail.com and the book is on Amazon. The Foreword was written by former Deputy Prime Minister The Rt Hon John Prescott MP who lived in Upton for many years during his youth and early working life including his marriage in Upton church. He has expressed his delight with the book and personally signed up 'best wishes' on a copy for us. The book features over 300 images and is sown bound in traditional style.